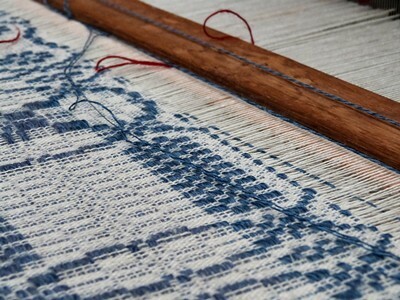 You may remember that I have been involved with the University of Glasgow and their work on Scottish textiles heritage. Most of the talks from the workshops are now available to download from iTunes. On a very related note, I travelled to Paisley today to have a closer look at their textiles heritage. Paisley is a town just south of Glasgow and it is steeped in textiles history - not only did it lend its name to the paisley pattern and the Paisley shawl, but it was also home to many textiles mills and weavers. Be warned - this is going to be a picture heavy post. For the full set of photos, do go to the Flickr photo set. Mile End Mill is no longer a working cotton mill, but it used to be a part of Anchor Mills, home of Coats & Clark and the world-famous Anchor threads and crochet cotton. Coats & Clark still exist today and they still produce the Anchor threads, of course, but the company has left Paisley (though the Anchor emblem is scattered throughout Paisley as are statues of Messrs Coats and Clark). 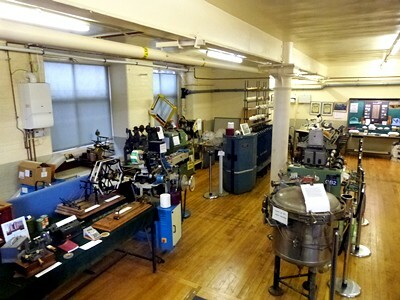 Today the Mile End Mill is a business centre with a gym and a nursery attached .. and a museum. 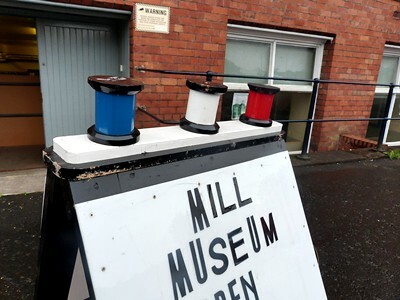 The Thread Mill Museum is symptomatic of many local museums: it has practically no funding and is run by volunteers - most of which are former mill workers who delight in talking about their former workplace and in keeping the memory of Paisley's industrial past alive. We were greeted by the lovely Eleanor who took us around the small space. There was much to interest the casual textile enthusiast. Many of the machines on display had been rescued from skips or recovered by former mill workers. 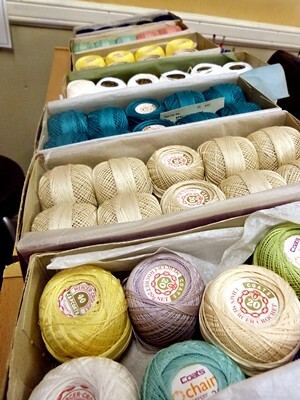 Boxes of brightly coloured crochet cotton. 1970s? 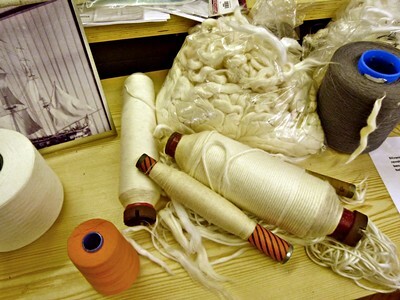 Various stages of cotton thread production - from raw cotton via bobbins to finished dyed thread. 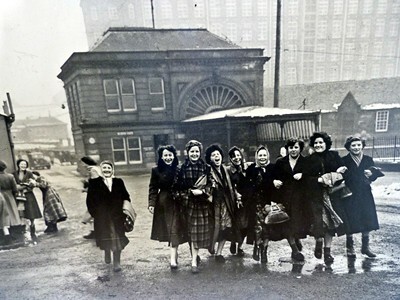 Mill workers leaving the Anchor mills, 1950s. Note the "mill wheel" on the gatehouse. And that was what really struck me. When we visited, there was a small group of elderly ladies chatting in the room whilst leafing through photo albums. 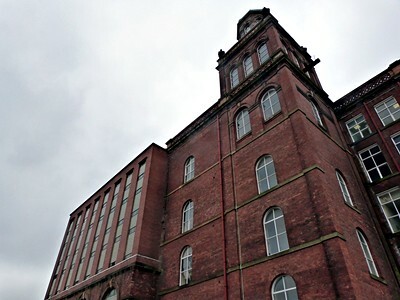 It soon became clear that when the last cotton mills finally closed in the late 1980s, Paisley did not just lose a lot of jobs; it lost a sense of community. The mills had not just provided a paycheck, but also a social structure around which lives were constructed. Tellingly, when a supermarket chain opened a new store in the mill area, it branded its building with anchors. We belong here, it screamed to me, and you belong to us. Paisley's weaving industry can be examined in the Sma' Shot Cottages - a small cluster of buildings a short walk from the mill complex. They are found in Shuttle Street (Paisley street names are fantastic markers of textile history). 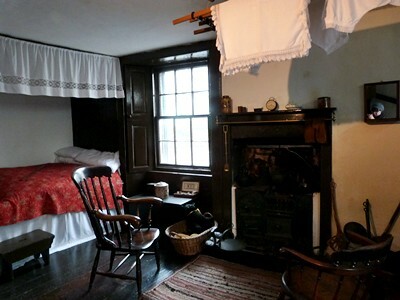 I really enjoyed these cottages - I did not know nearly as much about weaving as I did about cotton mill production - and I found the place fascinating. Material history and social history twined together. 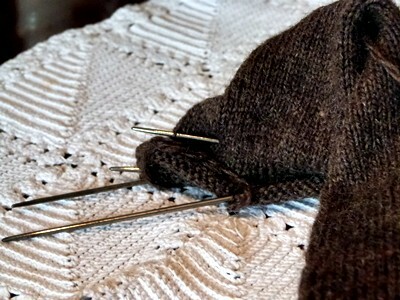 This sock-in-progress was too lovely not to photographed. One of the local guides was busy spinning yarn on her wheel when we arrived. I wondered if this was her work too? 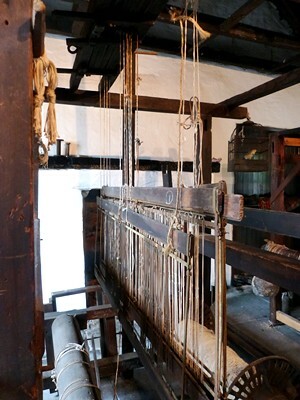 A 18th century loom still in use today. The weavers of Paisley had a dispute with their employers in 1856 over the sma' (small) shot thread used to bind the weft and warp threads. As the sma' shot was not a visible part of the shawl, employers refused to pay for the thread leaving weavers to purchase the thread themselves. The weavers organised and eventually the employers had to back down. Paisley celebrates a Sma' Shot day today - the first Saturday of July - by staging a rally and burning an effigy of an employer. Ouch. Paisley museum has an entire section devoted to Paisley shawls, as you might imagine. Sadly the museum is being refurbished and you can only access the shawl gallery by a side door. It is well worth the effort, though. The museum has some beautiful looms with great educational material displayed. And they have shawls. Photos do not do the shawls justice: their colours are deep and rich, and the patterns are intricate and exotic. 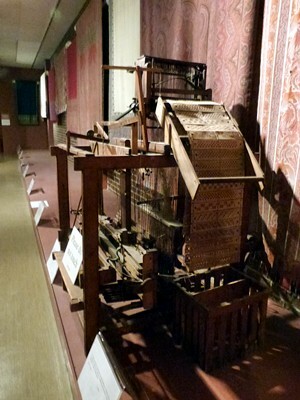 The shawls were (mostly) woven using jacquard looms with punch cards (as pictured). Many of the punch cards reminded me of knitting charts. 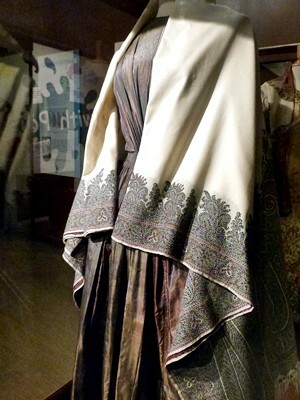 I found it particularly interesting to see how fashion had an impact on the Paisley shawls. The stoles were particularly popular during the Regency period. The 1820s and early 830s favoured triangular shawls (the notes on these shawls called to mind knitted triangular shawls) and later squares became popular. The Paisley shawl was finally undone by the bustle - you did not want to hide your bustle under a shawl nor did you want anything to hide that tiny waist above the bustle. I have always been a fashion history geek and I had a bit of a moment there and then. 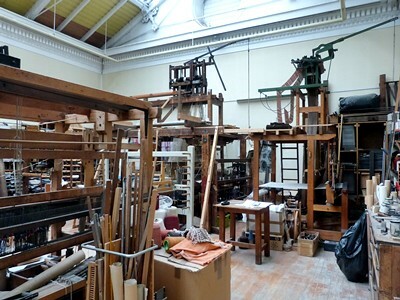 The refurbishment meant the Textiles Department was in a bit of a disarray but we were lucky enough to meet up with Dan Coughlan who works as the Curator of Textiles at Paisley museum. This proved to be my personal highlight of the day. Unfortunately we were not able to leaf through the museum's collection of paisley pattern books, but we saw photographs as well as various types of looms. Dan also spoke passionately about the need to highlight not just Paisley's but Scotland's textiles heritage. I could not agree more. It was raining all day long but I did not mind the rain. There is such a rich seam of textile history in Paisley and it is a shame that this is not discussed with same fervour as Bradford or Leeds. I wish funding was in place to fully support Paisley's textile and industrial heritage - as it stands, much depends upon volunteers to keep places running. Do visit and do support the hard work all these people are doing. I learned a lot today. I think you would too.